Robert Spencer Answers: Are There Moderate Muslims? Robert Spencer at the 2015 David Horowitz Convention, in California. Explains the "Moderate" Muslim. 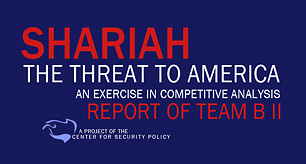 Please watch and learn, many national security experts explain Islam with valid, authoritative resources and quotes. In 1991 Colorado officials and police had to forma task force to raid a terrorist training camp in Buena Vista, Colorado because the FBI refused to get involved. Jihadi training camps have been in the US for 40 years - both Muslim Brotherhood and Jamaat al Fuqra. Grooming gangs in Great Britain, continues and spreading across America! Ex-Muslims of North America Published on Dec 21, 2017 What does it mean to lose faith within the context of an American Somali family? Jamal talks about his loss of faith as a teenager and how his family reacted to his apostasy. Senator Patrick Colbeck, R-Canton, voiced concerns over the Muslim Brotherhood during the April 26, 2018 session of the Michigan Senate.